When we arrived at about 10:15, there were already tons of guests piling up at the entrance. It was looking to be a pretty crowded day. 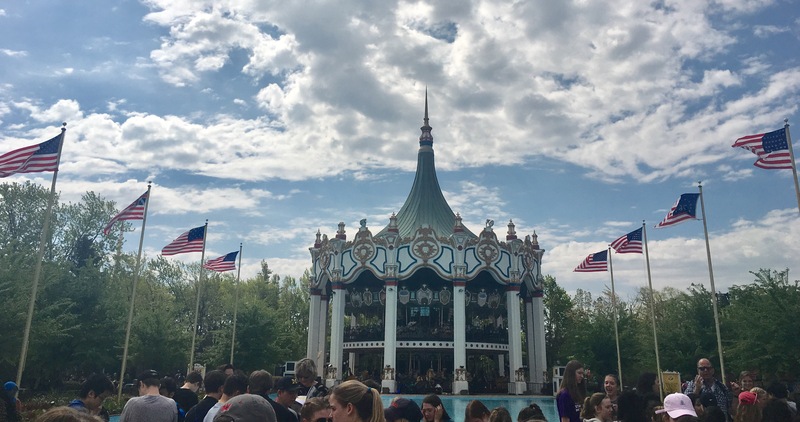 Luckily, the staff did a great job of filtering people through the gates, and we made it in the park by opening time at 10:30! Anyone else confused as to why there are 8 flags instead of 6? We decided that we would ride Goliath first. This allowed me to walk past the The Joker and take some pictures. A bit out of sequence, but this picture I took of Joker while waiting for the rapids ride is probably my favorite picture I took that day! Even if it’s a clone, I’m still very excited to ride this when we come back in June! We waited about 20 minutes for Goliath. The ride actually broke down while we were waiting, otherwise it would’ve only been a station wait. The ride was running pretty good though. It felt a little slower than usual, but maybe that was just because it was still the beginning of the season. It’s such a badass looking ride. Nothing quite like it! After Goliath, we went to my personal favorite ride of the park: X-Flight. It was so nice to get back on the only wing coaster I’ve ever ridden. The inline twist at the end is still one of my favorite inversions to this date. Following X-Flight, we rode both Raging Bull and X-Flight. Unfortunately, both coasters seemed to be running a little sluggish that day. 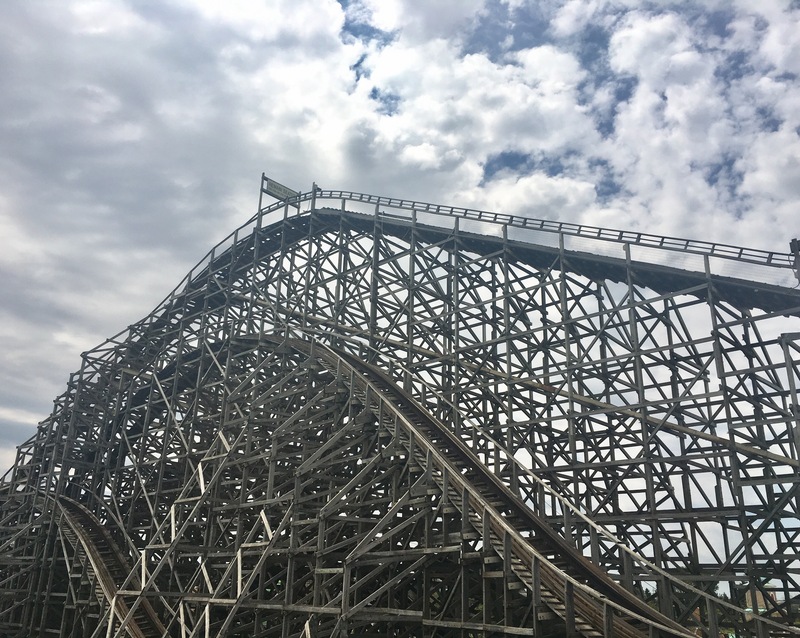 They were still fun, but Bull seemed to have a bit more of a rattle than usual, and Viper…well, it’s just not as fun in the front as it is in the back. Even the roughest ride in the park is still a good coaster! 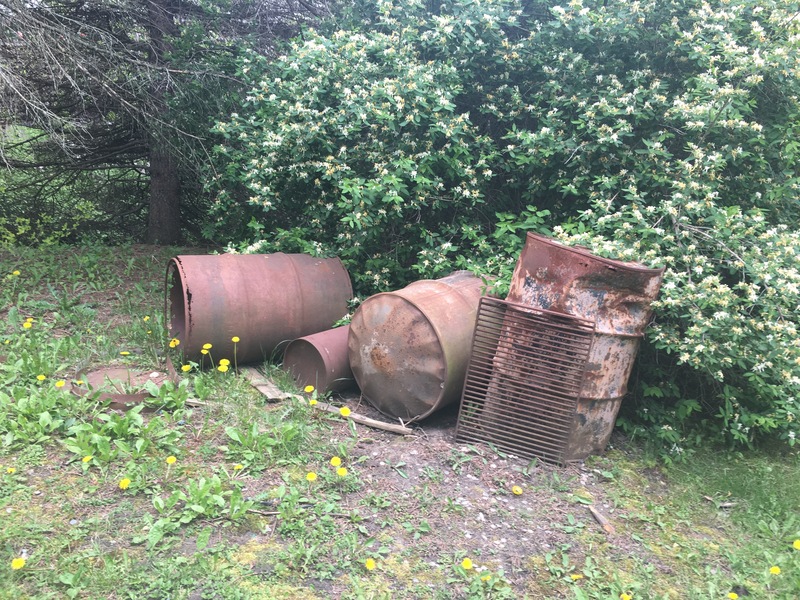 Six Flags’ theming at its best, folks. We then went to get lunch at JB’s Barbecue and Sports Bar. Surprisingly, this ended up being one of the highlights of the trip for all of us. I ordered the Southwest Barbecue Burger, Jordan and Dominic each got a ginormous plate of nachos (seriously, they couldn’t even finish half of them), and Dale got a plate of boneless wings. Everything was delicious, but the wings Dale so graciously shared with us were definitely the highlight of the meal. I could go on and on about how excellent this restaurant was (especially for a Six Flags counter service restaurant), but I’ll save that for it’s own separate review. It was even prepared nicely! 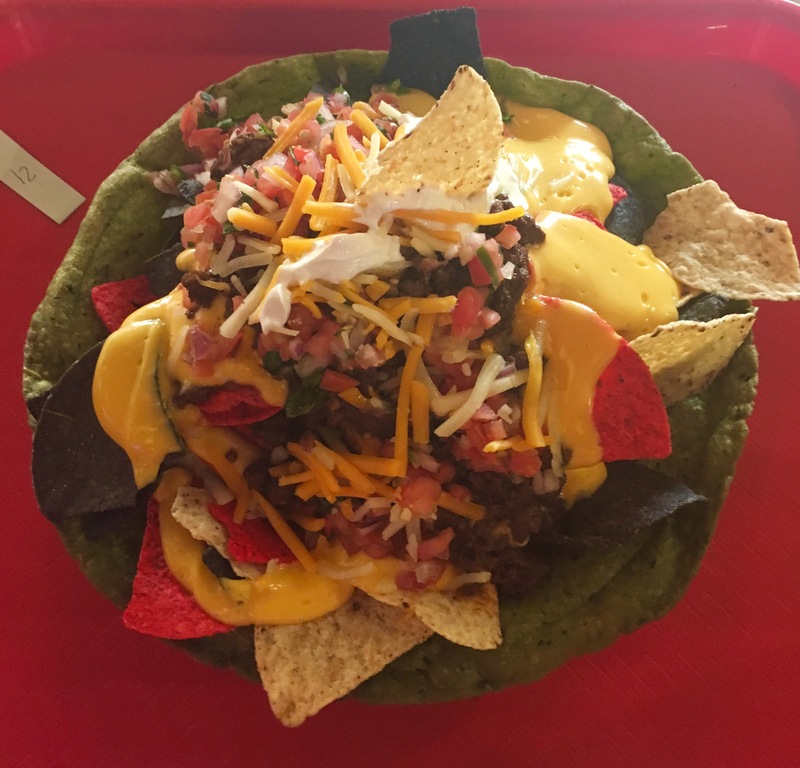 The colorful chips were a nice touch too. Once we were done eating, we took a break from coasters and go ride some of the park’s water rides. 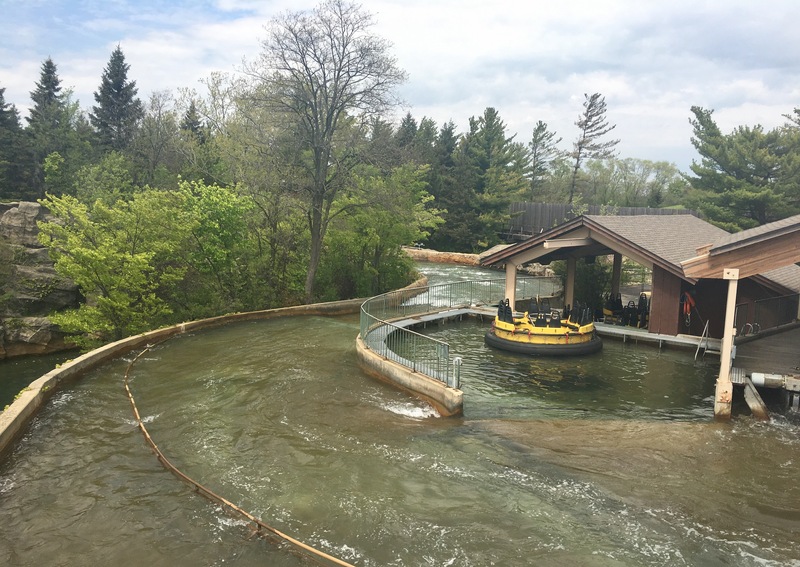 We had never been on the Roaring Rapids before, so we decided to head to that first. I didn’t expect it to be an absolute soaker like Kali River Rapids at Disney’s Animal Kingdom, but boy was I wrong. By the time we got off the ride we were dripping wet. Combine that with a humungous splash on Logger’s Run, and it was going to take a while for us to dry off completely. They were both very fun rides though! I really hope Six Flags implements the reservation system for VR rides at other parks. 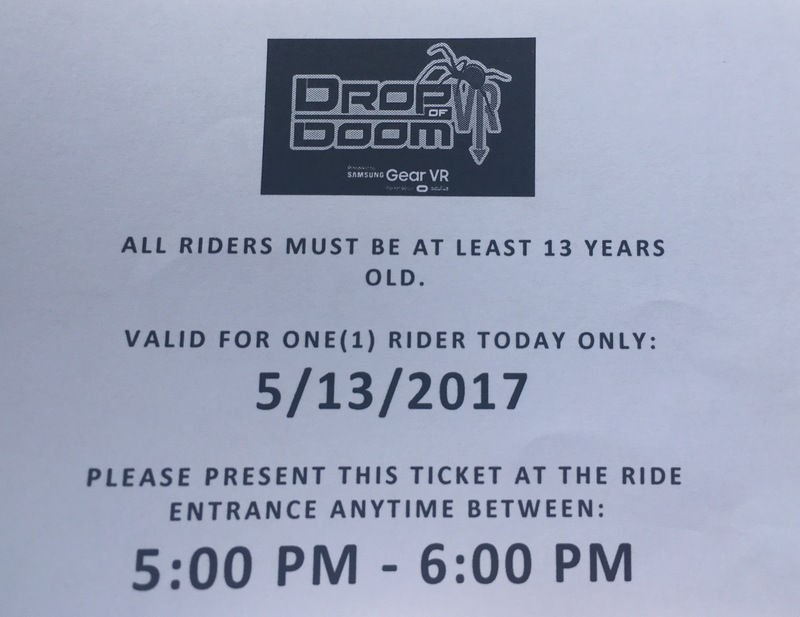 It reduced the wait time to 15 minutes, which is the shortest I’ve ever seen for VR on a ride. We decided to head into the Mardi Gras section of the park to ride The Dark Knight and Superman: Ultimate Flight. We only had to wait about 30 minutes to get on TDK, which was the shortest wait I’ve ever seen for that ride. 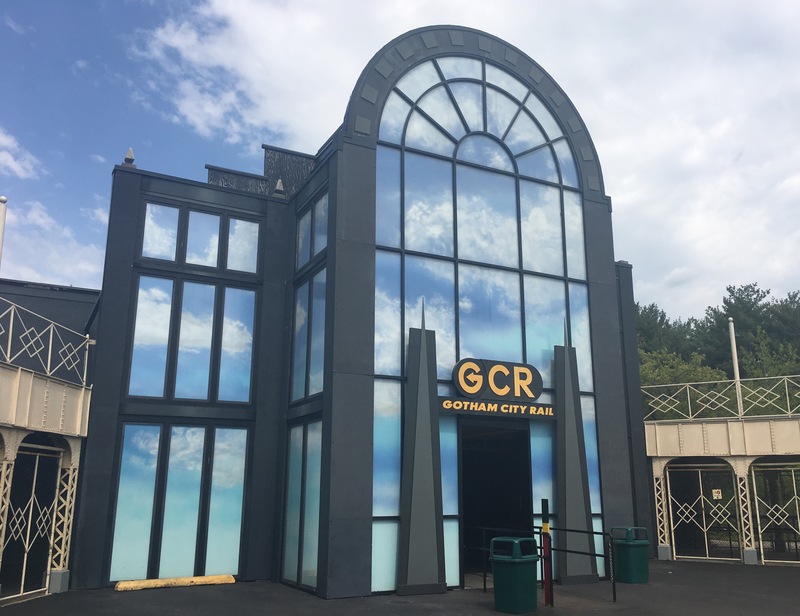 I’m sure it has lower wait times at the beginning of the day, but filtering riders through quickly and efficiently isn’t exactly The Dark Knight’s strong suit. Such an awesome façade. I like how they painted on the clouds to make it seem like there is an actual reflection. After our rides Dark Knight and Superman, we made a quick stop at Antoine’s Funnel Cake House to get some funnel cakes. Dale and Jordan were the only ones who wanted the dessert, so I didn’t actually get to eat any. They both seemed to really enjoy the cakes though, and had a hell of a time shaking powdered sugar on each other’s clothes once they were done eating. Picture courtesy of my wonderful @ack1918 Snapchat story (Shameful social media plug). 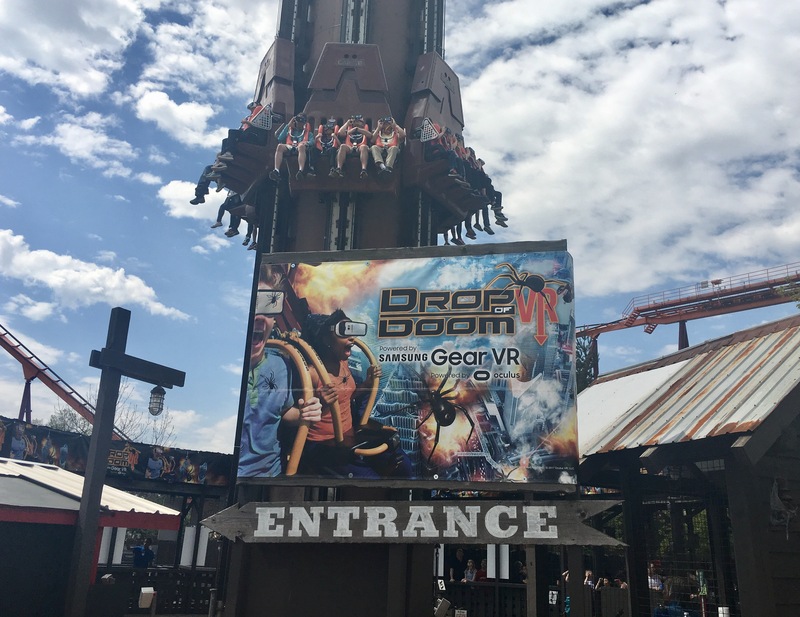 It was finally time to ride what we had all been waiting for: The Drop of Doom VR on Giant Drop. We made it the drop tower just after 5, and handed our reservation tickets to the staff at the entrance. 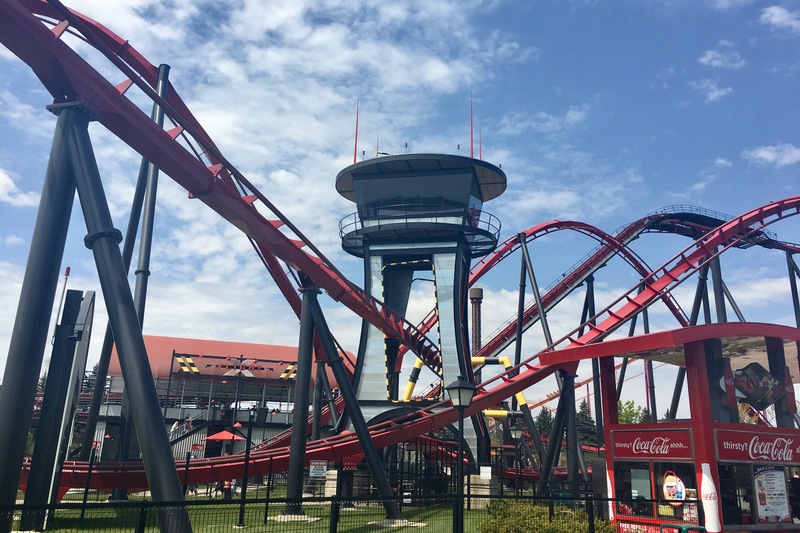 Within 20 minutes we were strapped into our VR headsets and restraints, and heading up the 227 ft. tower. The experience was short, but relatively unique and enjoyable. Like JB’s Sports Bar, I’ll write a more in depth review on Drop of Doom later on. Get attacked by futuristic space spiders while riding on a helicopter on Drop of Doom, only in the wild west themed Southwest Territory. After Drop of Doom, we managed to get on American Eagle, Demon, and Whizzer before the park closed at 7:30. Even though it was a very early closing time for a Saturday, we still managed to get on every major coaster except V2 and Batman. 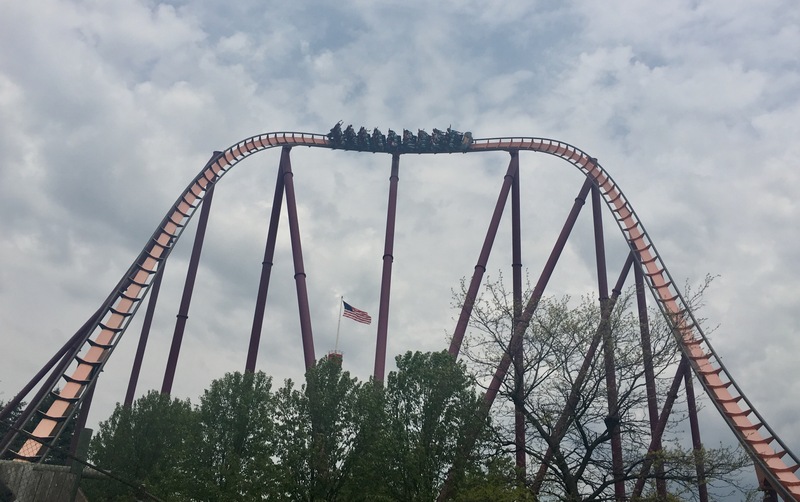 Combine that with the fact that we rode the drop tower and two water rides, and I’d say we had a pretty successful day at Six Flags Great America! 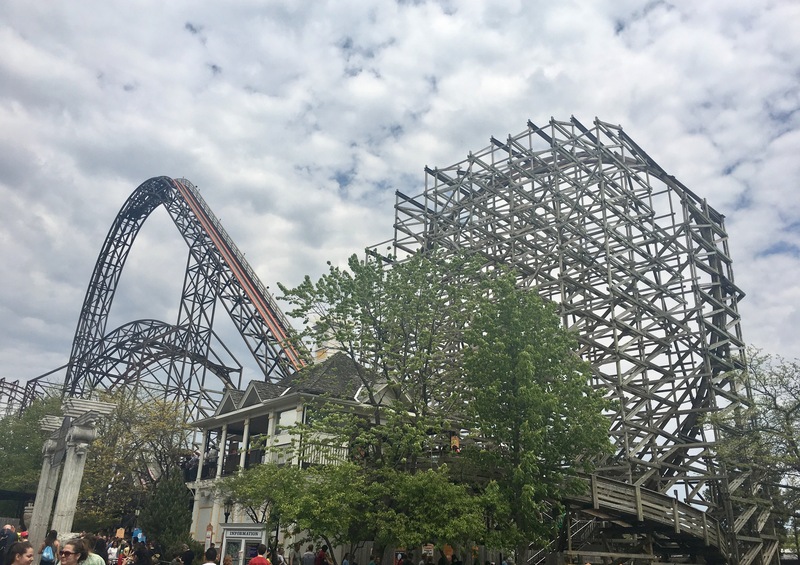 Dominic J. Longo ends the day with a wonderful ride on The Whizzer. 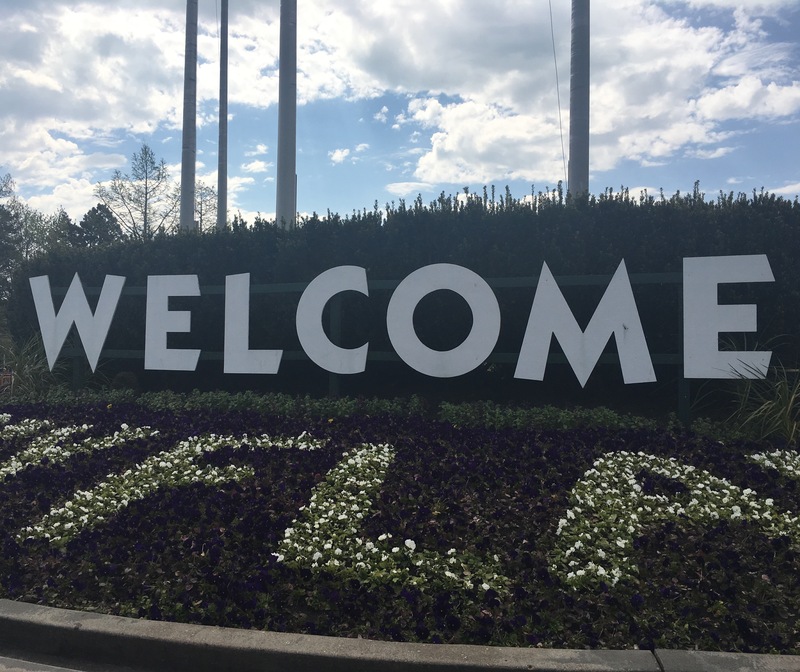 Obviously this trip report wasn’t as long as some of our others, but don’t worry. 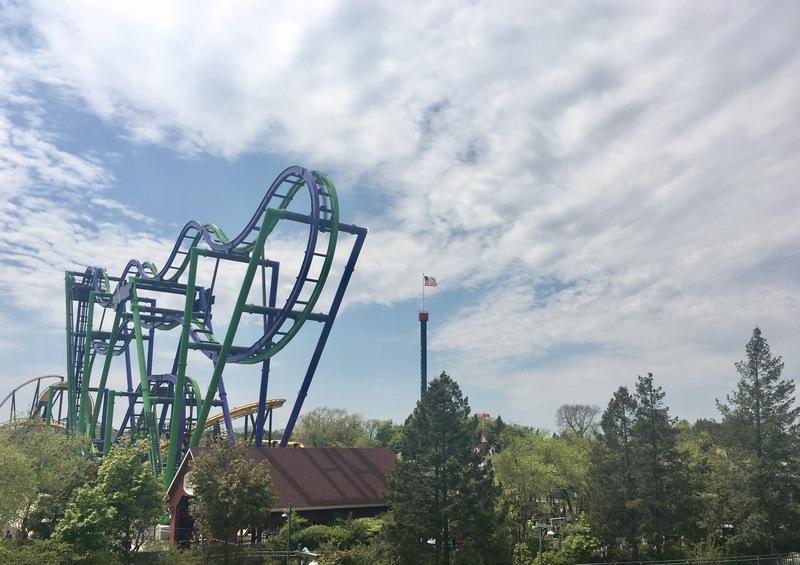 We’ll be back at Great America in June to ride The Joker, and I’ll definitely be writing another report about that day!